If you need an insulation company in Maryland, Accurate Insulation can help you. 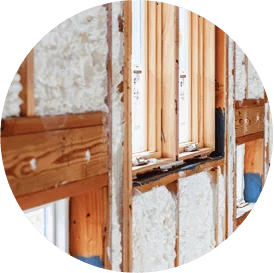 We work with homeowners, builders and contractors to install rigid foam (or rigid board) insulation in homes and commercial buildings for both retrofit and new construction projects. Contact us if you’re ready to begin your insulation project in Gaithersburg, or keep reading to learn more about rigid foam board insulation! As it sounds, rigid board insulation is available as a foam panel that can be cut to each building’s particular size specifications. The sizes most often used are 2 x 8 feet and 4 x 8 feet, but panels vary in thickness and width. Rigid foam insulation is mainly used for new construction projects, and in our experience, it is a great solution for insulating homes and buildings and maximizing energy efficiency. Polyisocyanurate (polyiso): Polyisocyanurate rigid board insulation typically comes with reflective foil facing on both sides. This makes it ideal for the attic, as the foil helps your home reflect rather than absorb the sun’s energy. To learn more about the potential benefits of installing rigid foam insulation in your home in Gaithersburg, contact us online or call (301) 358-6411 today! The Accurate Insulation team uses rigid board insulation for retrofit (re-insulation) and new construction projects. We have experience with both commercial and residential projects and can install rigid foam insulation in walls, attics and crawl spaces. Need an Insulation Company Serving the Gaithersburg Area? If you’re located in Gaithersburg, Accurate Insulation can help! We have experience installing rigid foam board in both existing homes and new homes being constructed, and our professionals use quality rigid foam insulation from leading manufacturers in the industry. Being a part of the Installed Building Products family of companies, Accurate Insulation offers knowledge, experience and resources that few companies can match. Speak to one of our insulation experts today to get the service you expect and deserve for your commercial or residential needs. 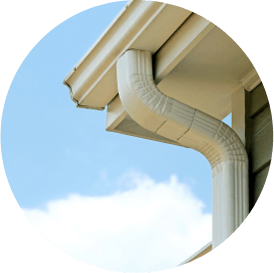 We have locations throughout the Maryland and DC areas, and we are happy to serve your home or building in Gaithersburg. Get in touch with us to learn more about our insulation services or if you’re ready to start your project. Call us at (301) 358-6411, contact us online or fill out the form on this page now!